Virgin Australia is starting to look at revenue management and other opportunities with HNA Group as part of their alliance on China-Australia routes. “They’ve been working with us at an operational level. We’re deepening the conversation around revenue management,” says Virgin group executive Rob Sharp. HNA holds a 20% stake in the Australian carrier, which was initially acquired via an equity injection into Virgin in 2016, and subsequently maintained through a series of additional capital raisings. Last year Australia’s competition regulator cleared HNA and a number of its airline units to enter into an alliance with Virgin on Australia-China routes. That included Hong Kong Airlines and budget carrier HK Express. Sharp says that the Hong Kong Airlines partnership in particular has been delivering strong feed for its Melbourne-Hong Kong flights, with around half of its passengers using the HNA-backed carrier to connect in Hong Kong from destinations in mainland China. “A reasonable portion of it is group business coming in from China,” he adds. 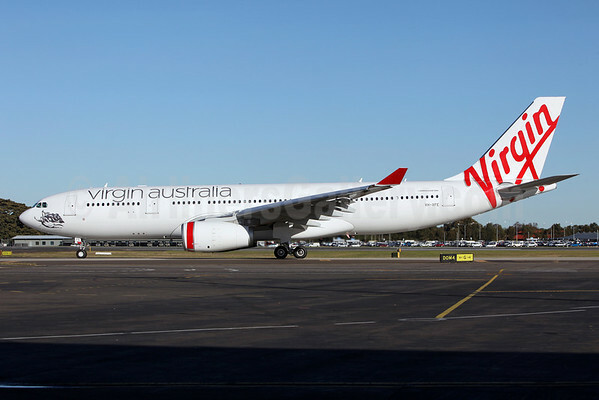 Virgin has seen the benefit from that tie-up on its domestic network too, with Sharp noting that an increasing number of passengers arriving on the Hong Kong flights have connected on domestic flights to Hobart and other cities. Virgin also recently signed a major catering and onboard provisioning deal with GateGroup, which is also part of the HNA family, that Sharp says will deliver good synergies to both companies. That is not to suggest that the family ties have necessarily favoured HNA, with Sharp noting that its contracts and tie-ups are negotiated on a “strictly commercial basis”.